Luxembourg Innovation Masterclass 2013, une initiative de Luxinnovation lancée en 2010 à la demande de l’industrie. L’objectif est d’inviter au Luxembourg un orateur de renommée internationale spécialisé dans une des multiples facettes de l’innovation. Tous les ans, plusieurs entreprises nous apportent leur soutien dans l’organisation de cet événement destiné à toutes les entreprises, quelle que soit leur taille. L’événement, qui se tiendra du 9 au 11 décembre prochain, se décline en trois phases s’étalant chacune sur une journée : une conférence ouverte au public, une session réservée aux «Gold Partners» (entre autres Goodyear, Intrasoft, IEE et Delphi) et un séminaire thématique. Les «Gold Partners» de l’édition 2012 ont retenu cette année le Professeur Wim Vanhaverbeke, qui tient une chaire en management et stratégie de l’innovation à l’Université d’Hasselt. Il est également professeur invité à l’ESADE Business School de Barcelone et à l’Université nationale de Singapour. Le Professeur est un des universitaires les plus renommés à l’échelle internationale dans le domaine de l’«innovation ouverte», co-éditeur du livre «Open Innovation: Researching a New Paradigm» avec Henry Chesbrough, le fondateur de la théorie sur l’«innovation ouverte», et tout deux conseillers de plusieurs grandes multinationales dans ce domaine. What is the Luxembourg Innovation Masterclass? The Innovation Masterclass was created out of a call from industry, which was looking for an opportunity to learn from a widely recognized speaker from academia about new trends and developments of modern Innovation and Technology Management. 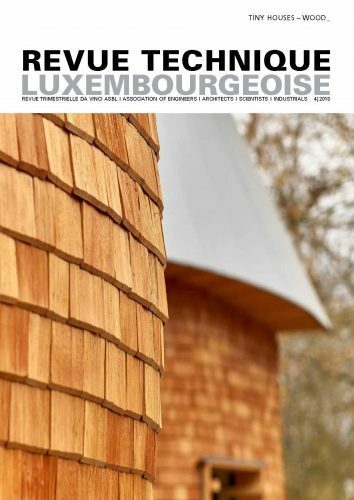 Following this call, Luxinnovation first launched in 2010 the Luxembourg Innovation Masterclass. Since, it has become an annually expected date in the calendar of many professionals interested in innovation management. Indeed, this advanced training offers insight in what is fast becoming one of the core competencies for long term sustainable growth in the global economy: building competitive advantage through innovation capacity. It is conceived as an intensive three-day programme of seminars, lectures and workshops aiming at training participants in the latest methods and tools necessary to make their organisation a world-class innovator. In a growing number of industries, the development of innovative products and technologies becomes increasingly expensive and risky, so that companies must join forces through collaborations. In the meantime, globalisation and new communication technologies have made knowledge widely distributed and accessible. As a consequence, corporate innovation activities are shifting from vertically integrated and closed R&D models of the 20th century towards disintegrated networks of innovation that connect numerous companies into ecosystems. Such ecosystems bring together large, medium-sized and small companies in search for vital knowledge to collaborate with customers, suppliers, universities, national research centres, consortia, consultants and start-up firms. If companies want to take advantage of the new opportunities created by such ecosystems, they cannot rely solely on their own research anymore, but need to acquire ideas, inventions or intellectual property from other companies, organisations or users when it advances their business model. Companies need to re-orient their management processes to make greater use of external knowledge for their own innovation systems. At the same time, they can benefit from their own unused ideas to flow into other businesses for them to use. Prof. Wim Vanhaverbecke will speak about key success factors of Open Innovation, and how companies should organise inflows and outflows of knowledge within their company to accelerate internal innovation, and how they can expand the markets for external use of innovation. The training consists of three specific modules comprehensively introducing the subject and the challenges of Open Innovation, and addressing different aspects of how start-ups, small-, medium-sized, and large companies can take advantage of this new innovation paradigm to boost their innovation potential.